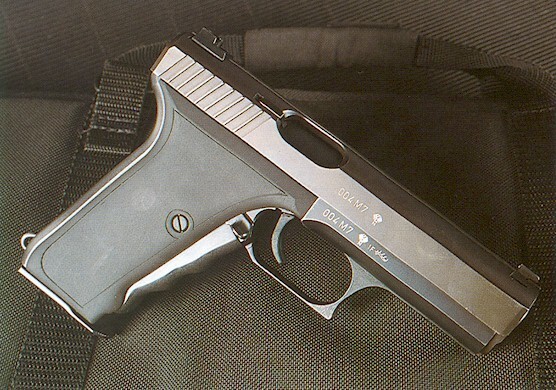 Among P7 aficionados, there is one pistol that gets them fired up more than any other. The P7M7. 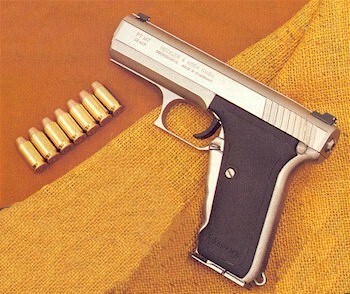 Rarest of the P7s, the M7 in .45ACP never went beyond prototype stage. 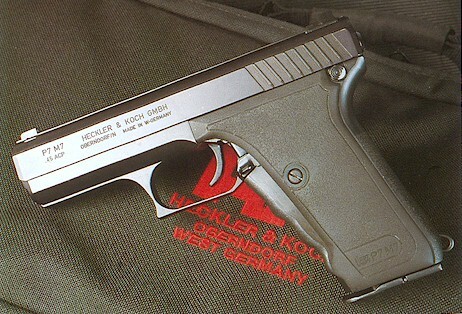 There are only six examples in the world, and they are in the possession of HK. There was one rumored to be for sale in Honolulu, Hawaii for $10,000, but this was surely a bogus claim. The six were produced in 1983. The serial numbers ranged from 001M7 to 006M7. With a magazine capacity of seven rounds, you can see why it was called the M7. Here are the clearest photos ever of this magnificent handgun. P7M7 number 4 with a curious discrepancy. Date code is 'IF' for 1985. These guns were produced in 1983.